A layover of less than 20 hours, wake-up calls at 4am and staying in a hotel in the middle of nowhere doesn't give you much chance to see new things. 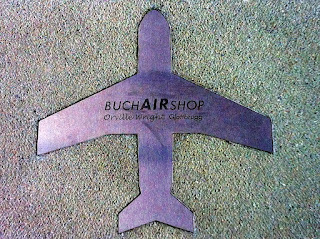 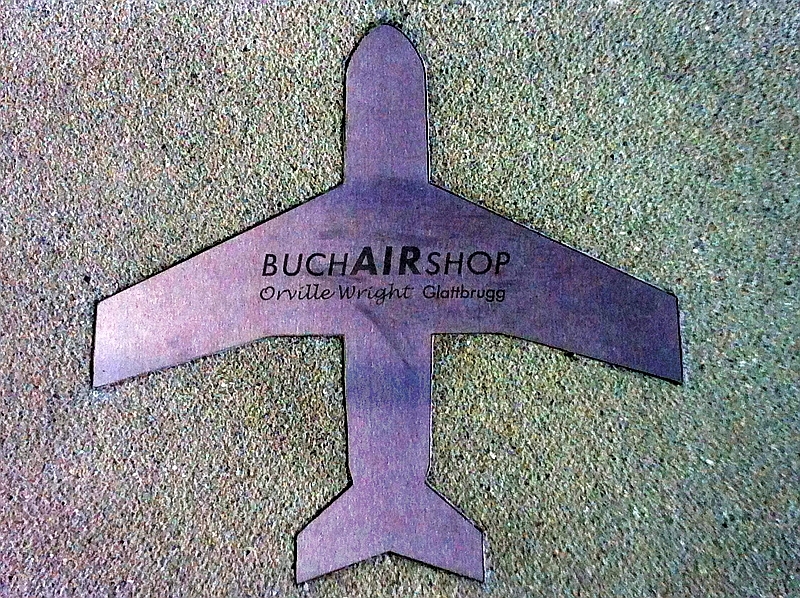 Initially I planned to visit an aviation model shop in Glattbrugg - BuchAIRshop - about 3 km away from the airport. Buchair is also known for organizing special ramp tours for aviation enthusiasts at ZRH. 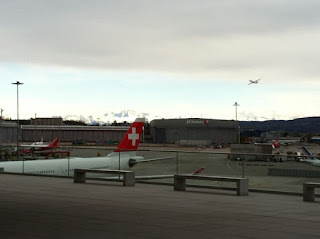 Having landed at Zurich Airport at 12:30 pm, I had little time to have lunch and find a way to get out of Regensdorf since the shop closed at 6pm. 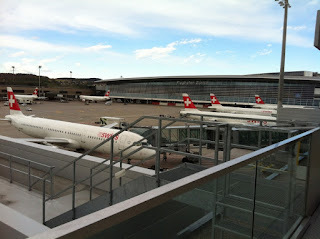 I was alone and I didn't want to spend a large amount with taxis. 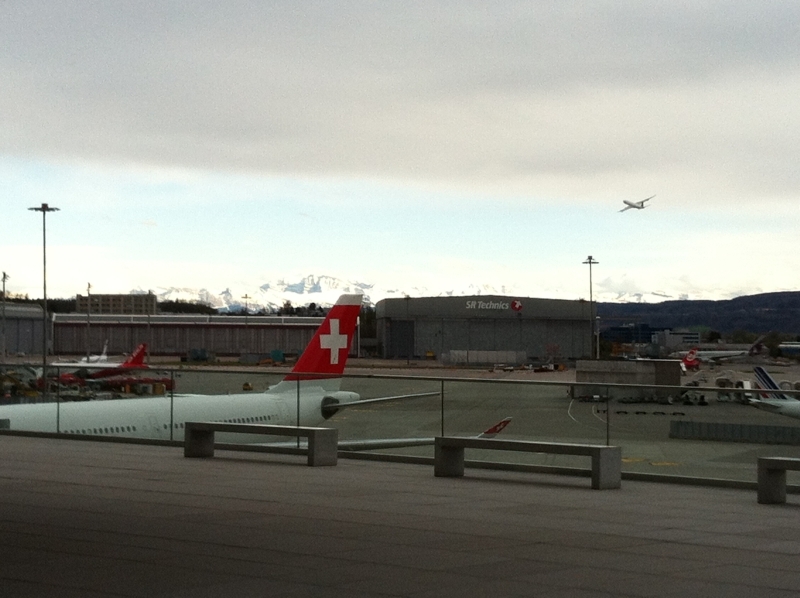 So I headed towards Regensdorf-Watt train station. 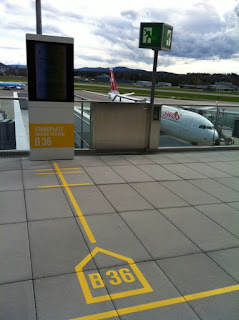 I was disappointed to learn that being a Saturday, the next suitable train would only pass at 5:20pm. 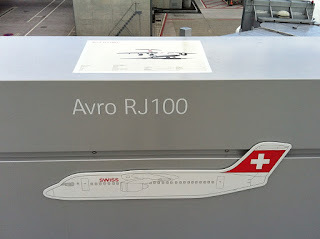 It was worthless to wait for it... Beside going to Buchair Shop I also had a plan B for this layover which was going to the new Observation Deck B at ZRH. 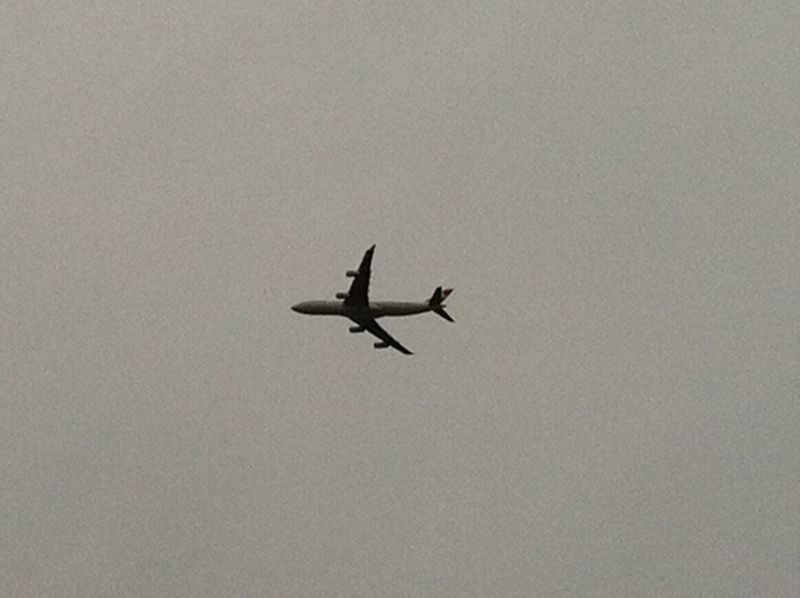 But I hadn't given up going to the shop. I returned to the hotel and took the free shuttle service to the airport at 4pm. 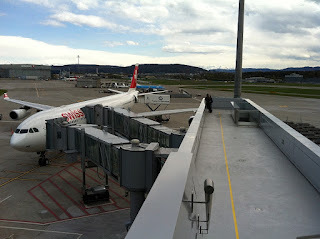 Arriving 20 minutes later I used Google Maps to calculate distance and time to Glattbrugg. It would be a 40 minutes walk. It was OK for me if I could have found a walkway to get out of the Terminal area... Definitely I was going to pay a visit to the new observation deck! 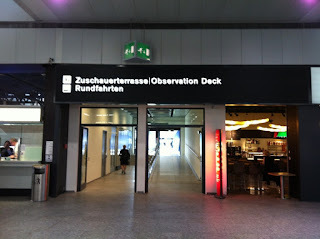 The observation deck is situated on the roof of dock B which was recently rebuilt and opened to the public in December 2011. 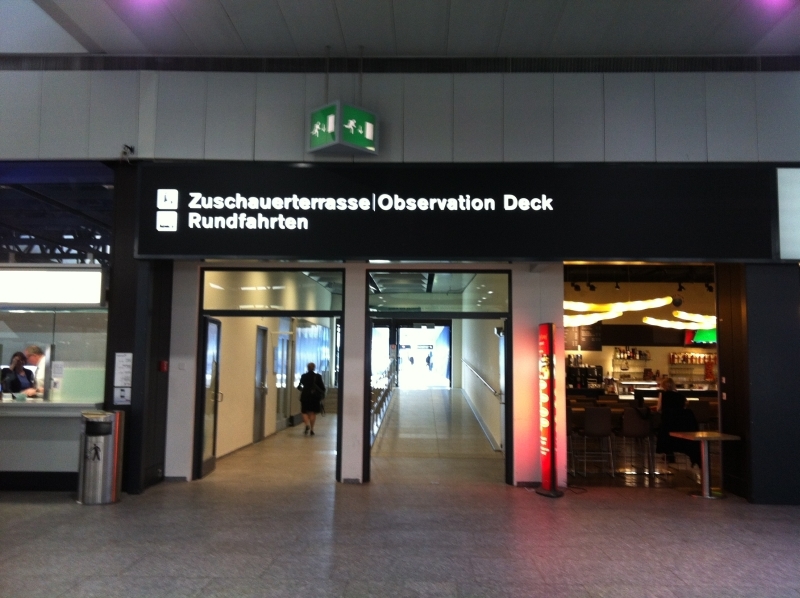 The entrance to the observation deck is at the third level of "Check-in 2" area and everyone can go there even if you aren't going to fly. You have to pay an admission fee of 5 CHF but you can trust me, you won't be disappointed! Before going to the open air area you have to pass through a security control including a metal detector and a x-ray scanner for your belongings. 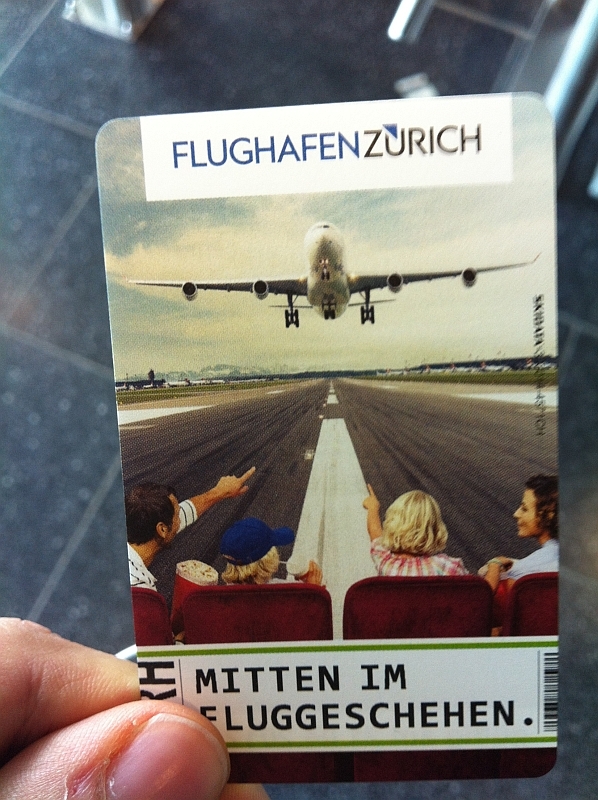 Just like a passenger! 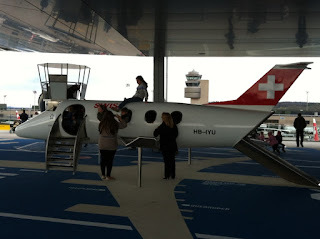 The new observation deck is not only a friendly place for aviation enthusiasts and spotters, but also an amazing example of good architecture. 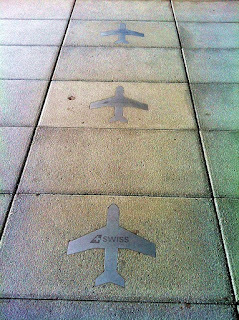 As you enter the deck you can see a line-up of several plates on the ground with the sponsors of the new terrace. 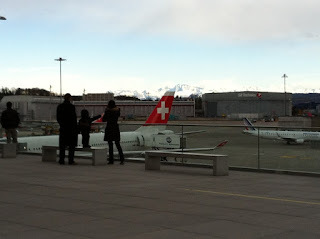 SWISS is an obvious sponsor but it was surpring to find that Buchair Shop is also one of them! 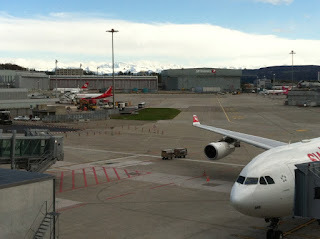 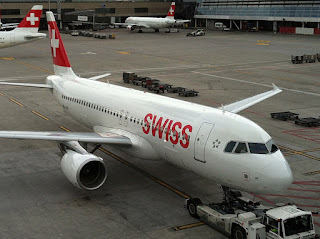 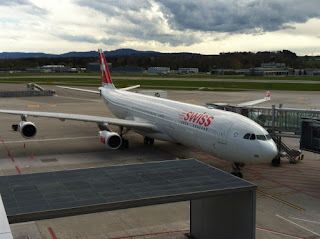 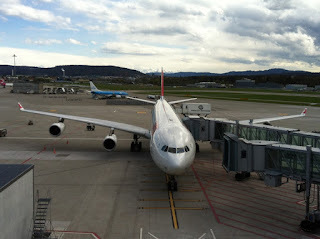 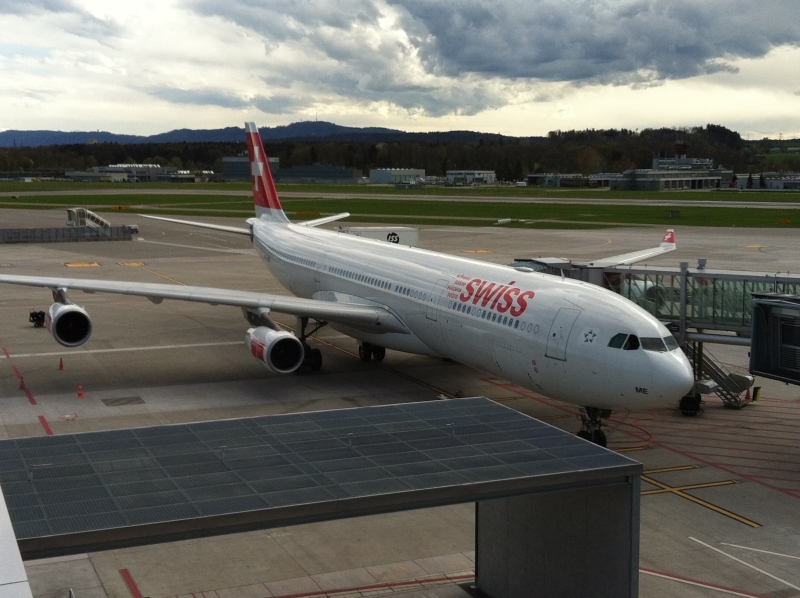 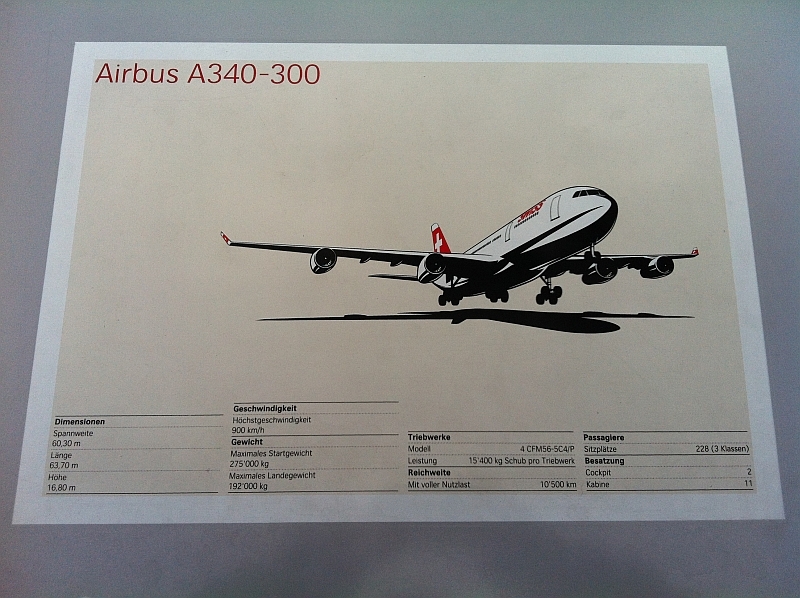 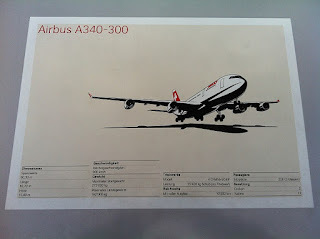 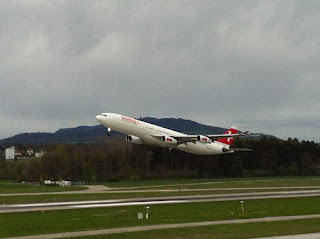 The first aircraft I saw was a beautiful SWISS A340 with registration HB-JME. Near this A340 there was an "apron-tower", a pier protuding into the apron where you can have a closer perspective of aircraft. 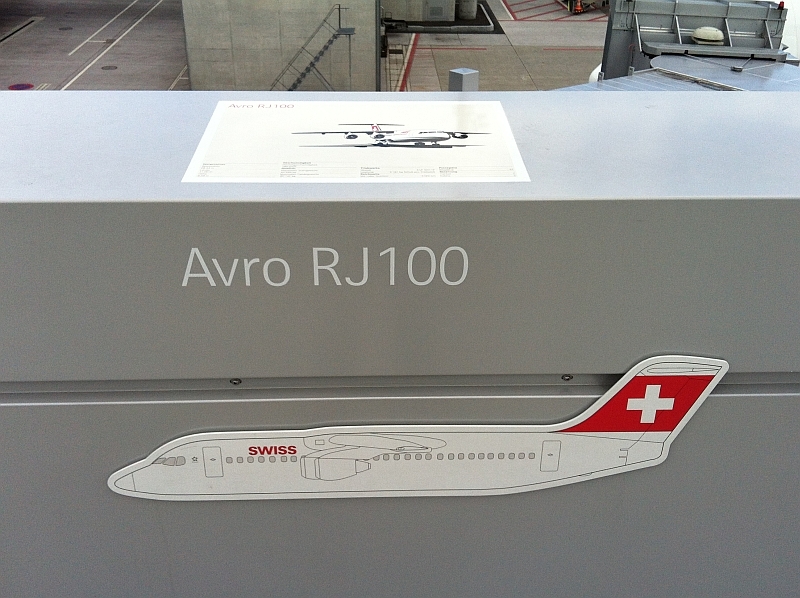 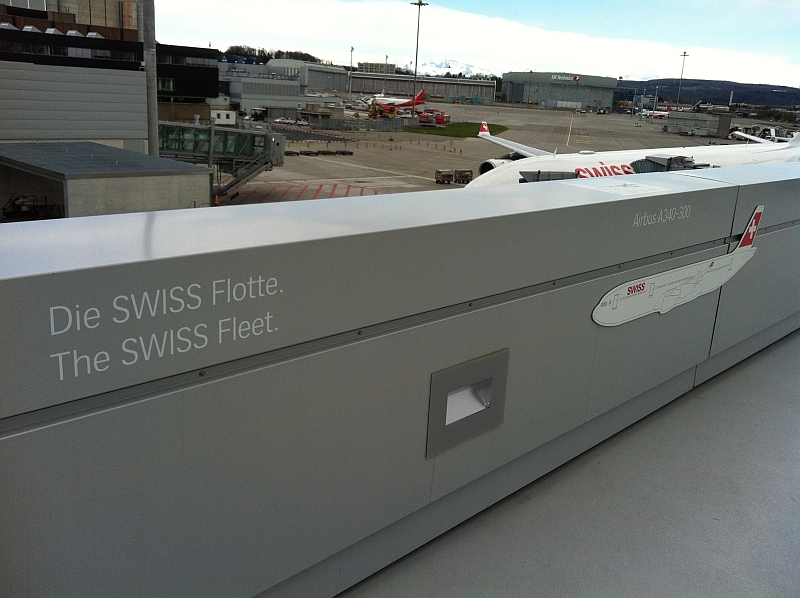 In this particular apron-tower you can find a very informative description and aircraft profiles of SWISS' fleet. 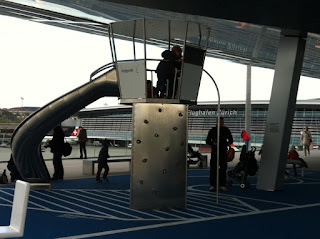 In fact, the Observation Deck B is a place for every people and ages. 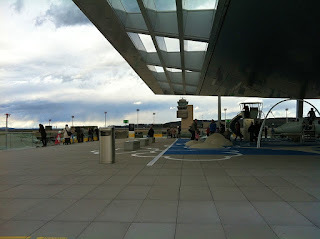 I saw spotters, couples, children, baby strollers, older people, etc. 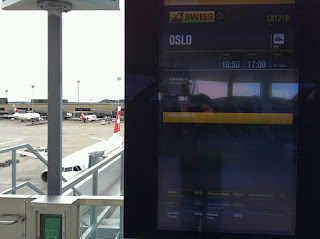 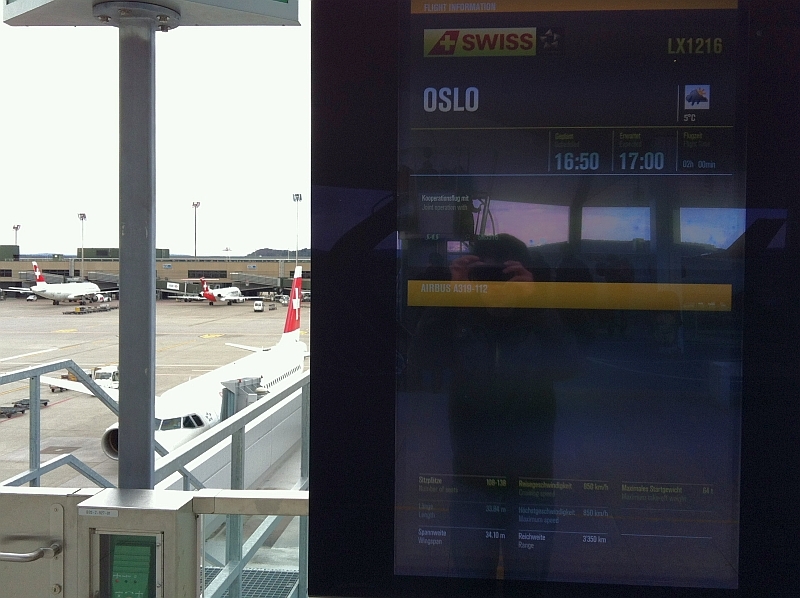 At each parking stand you have a big TFT screen displaying flight information about the aircraft parked there. 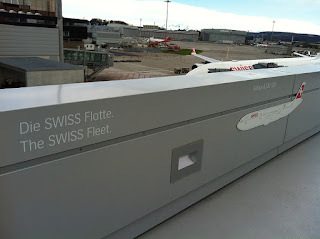 Beside these screens, the deck is also equipped with free multimedia binoculars called "Airportscopes" that provide background information on fixed and mobile points of interest. 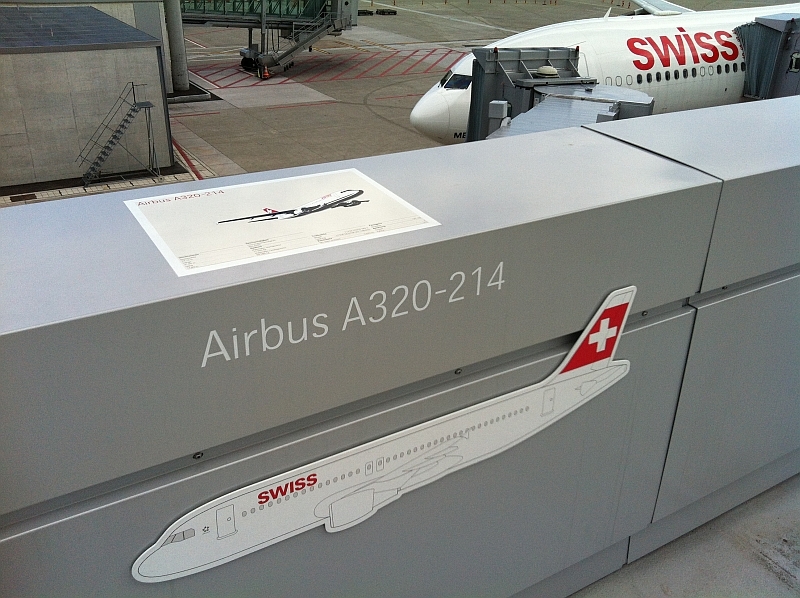 Short explanation texts about airport and aircraft operations can be read at various points of the deck. 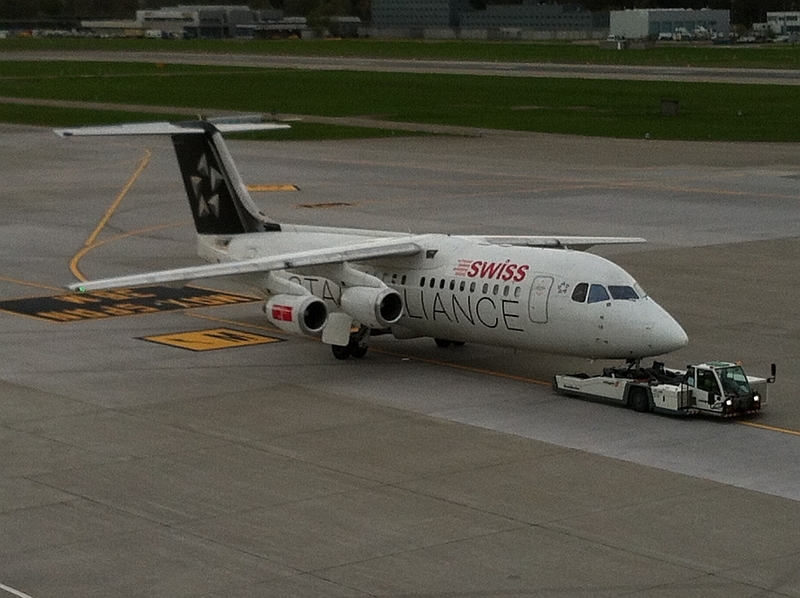 Jumbolino with Star Alliance livery. 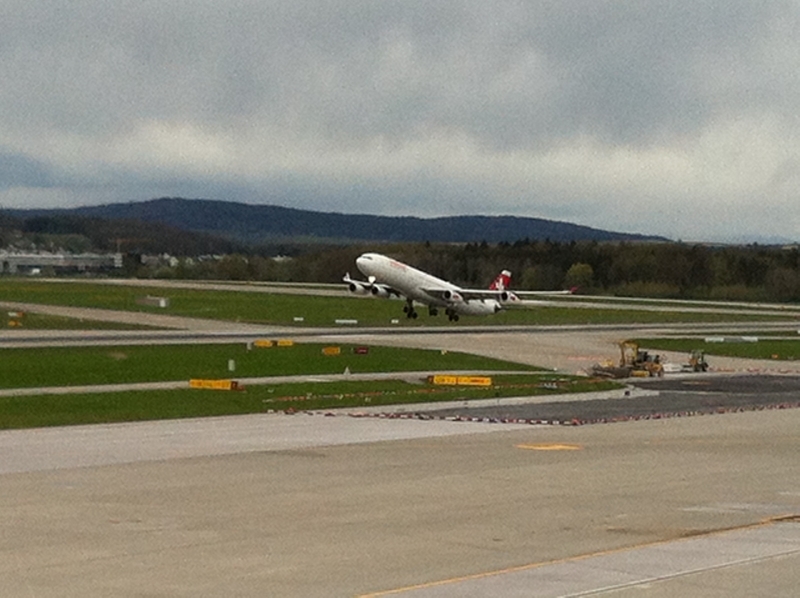 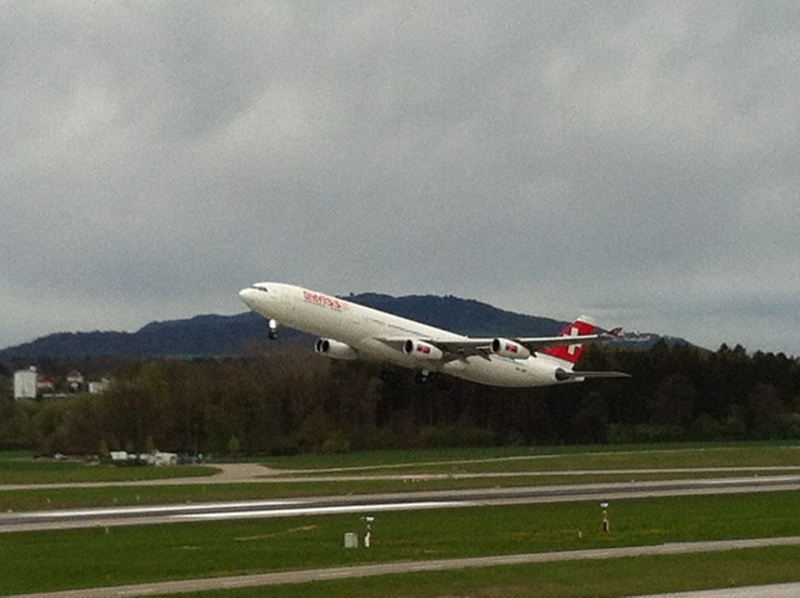 A spectacular sight that can be seen from deck B are the dramatic take-offs from runway 16 performed by SWISS' A340s. 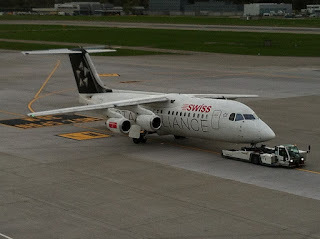 These aircraft are well known for their particular poor climb performance. I must apologize for the quality of some of these photos. 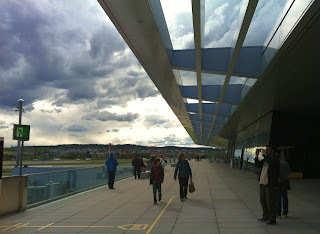 But my cellphone was my only camera available and when you use the zoom function, the quality of the photos drops big-time. 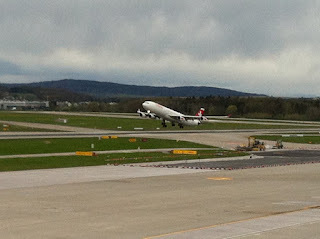 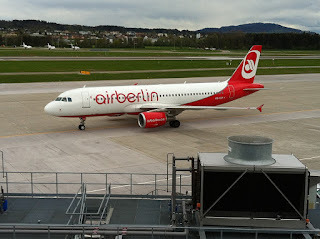 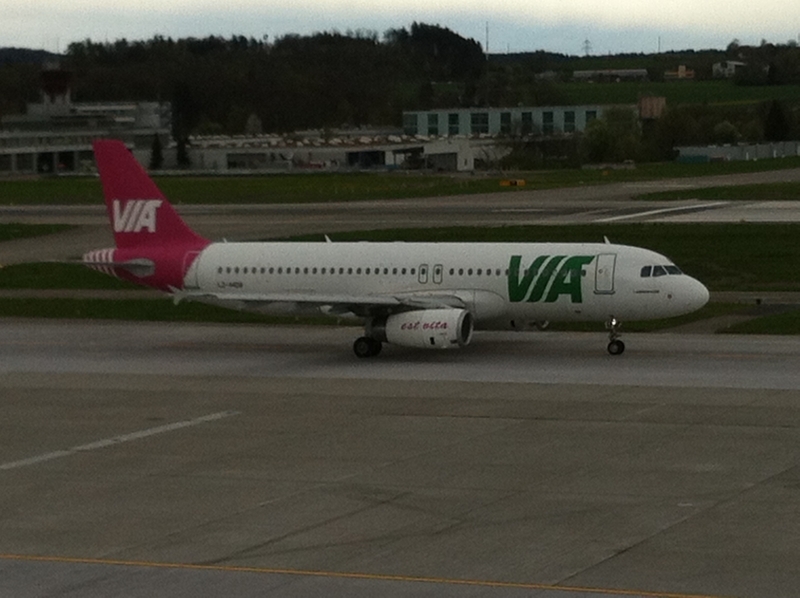 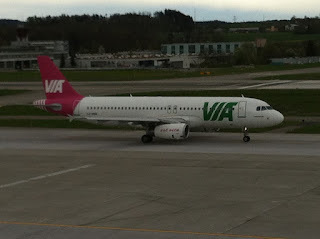 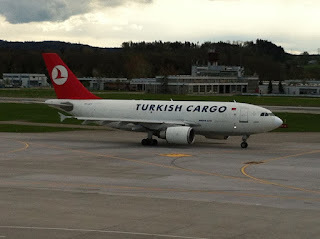 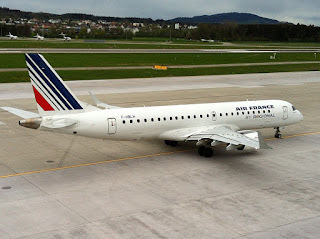 But with a nice and adequate camera, spotters can certainly obtain beautiful pictures of aircraft taking-off runway 16. 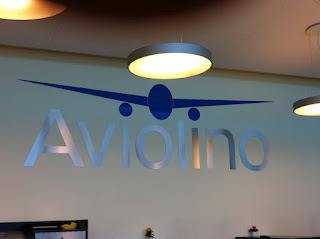 When daylight was fading and weather was getting colder I went to the Aviolino coffee shop, available to the visitors, to have a snack before returning to the hotel. 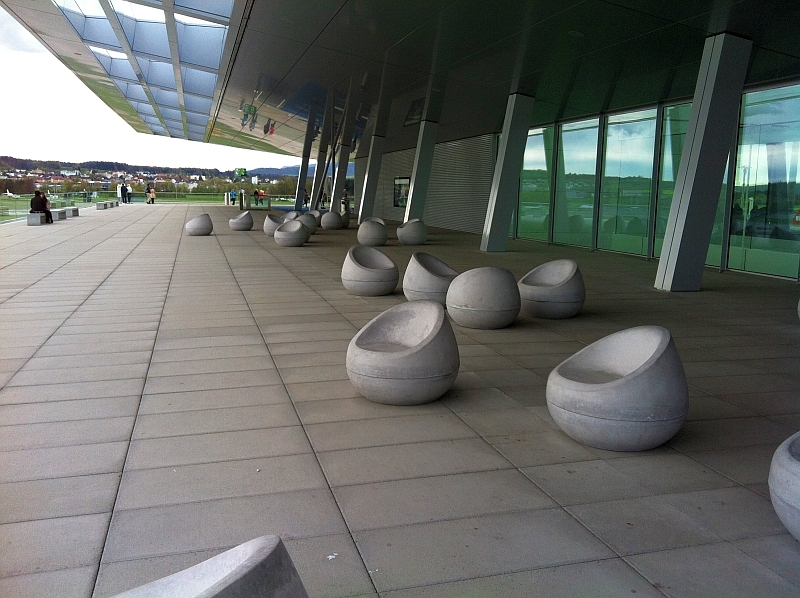 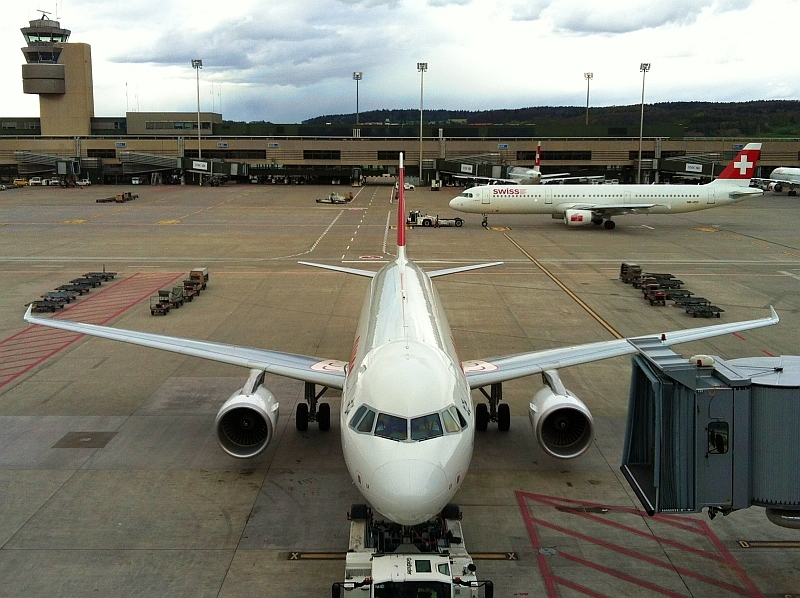 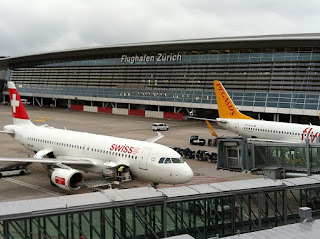 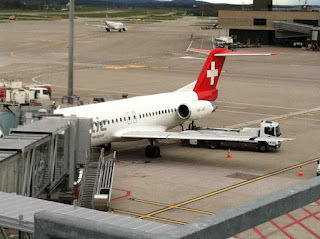 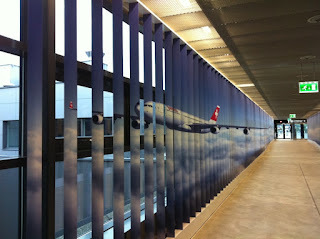 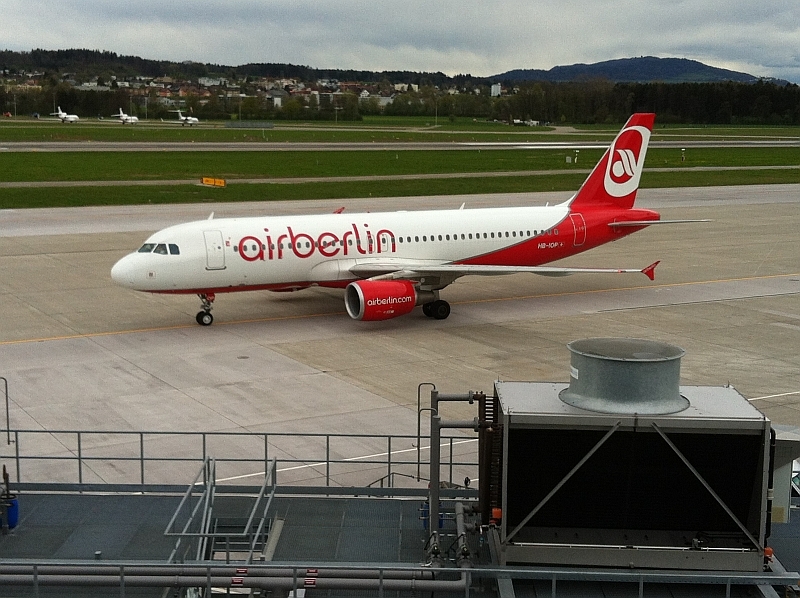 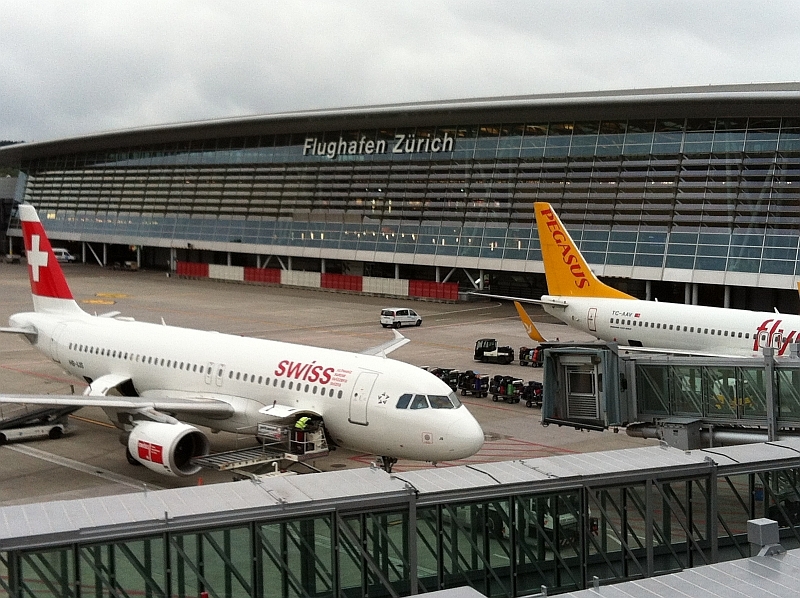 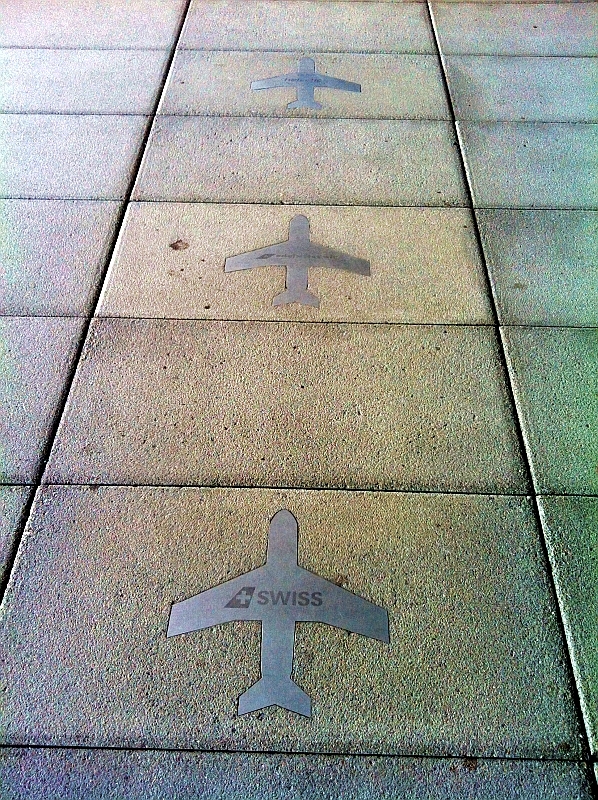 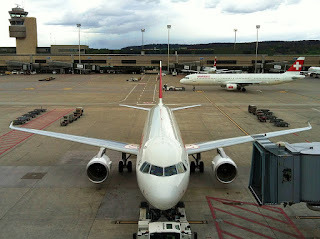 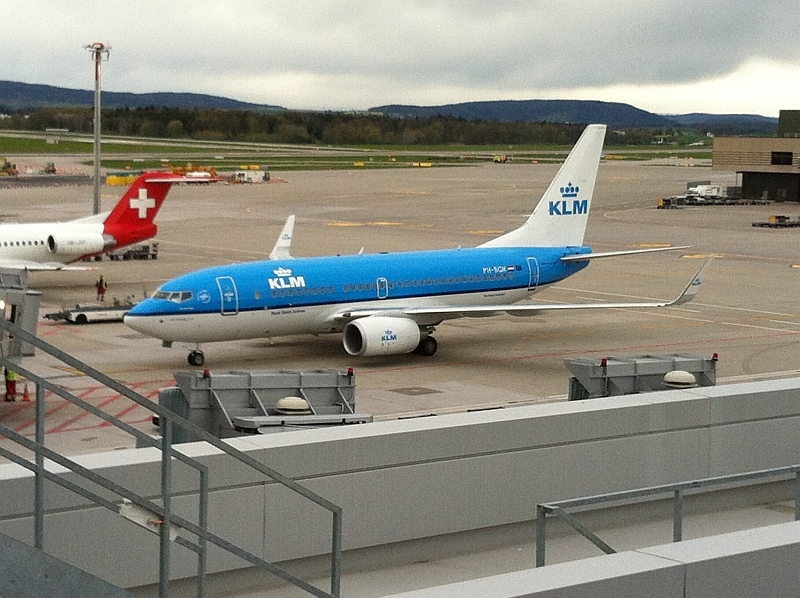 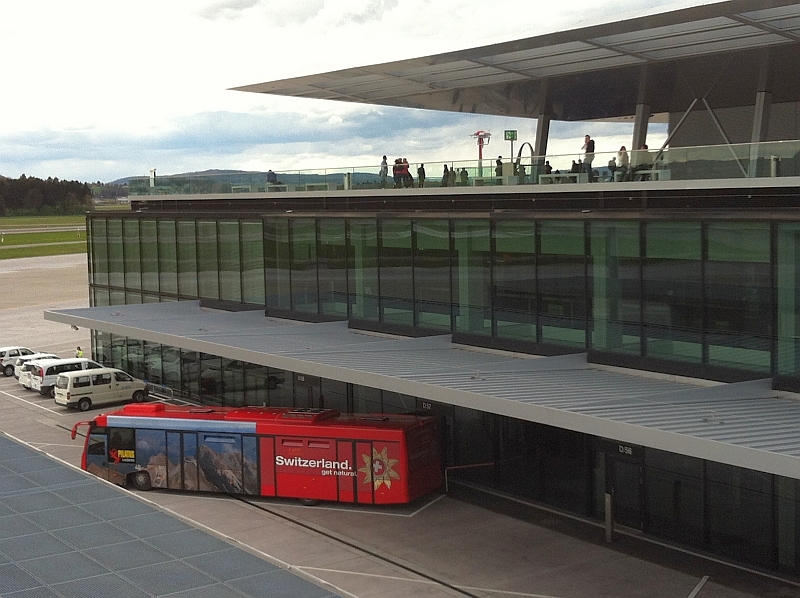 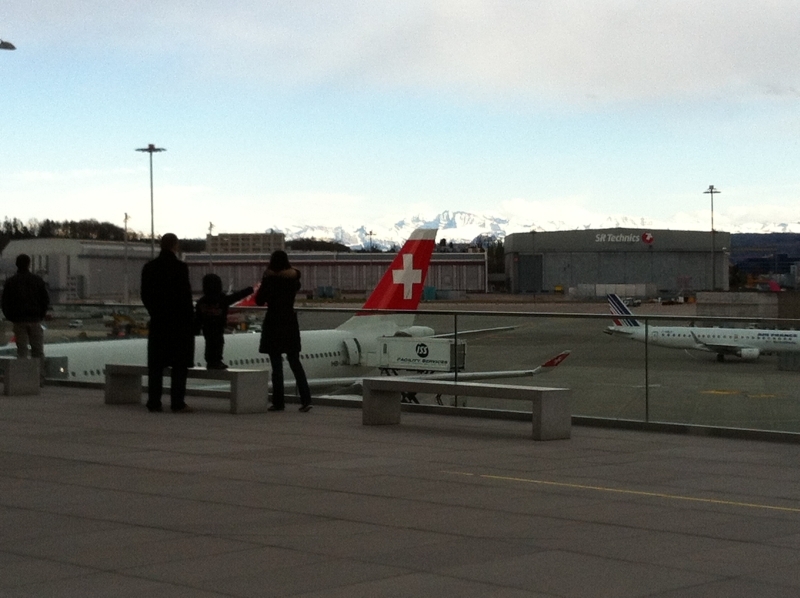 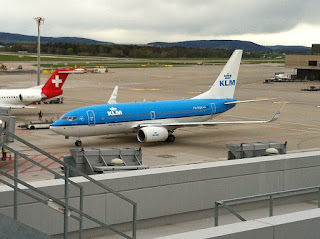 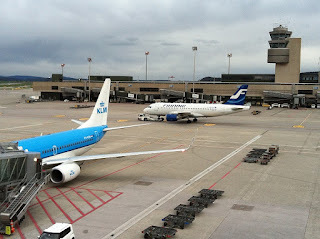 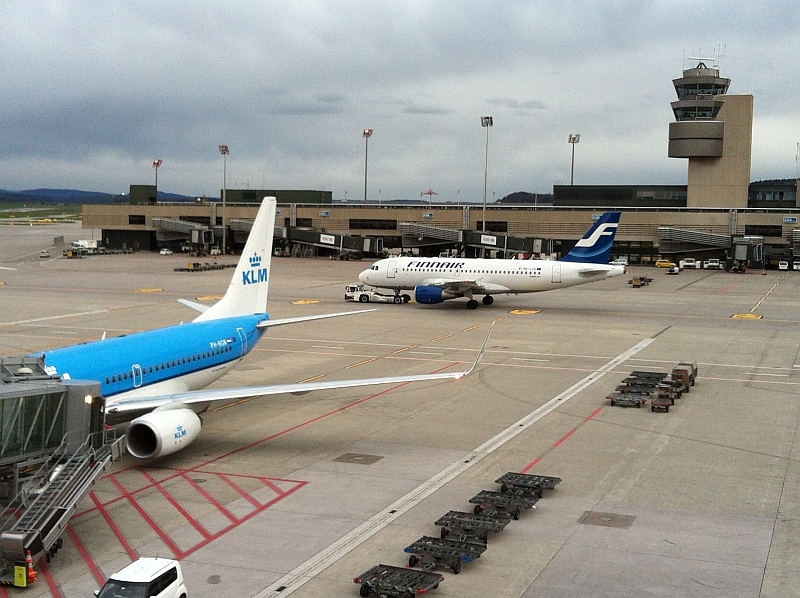 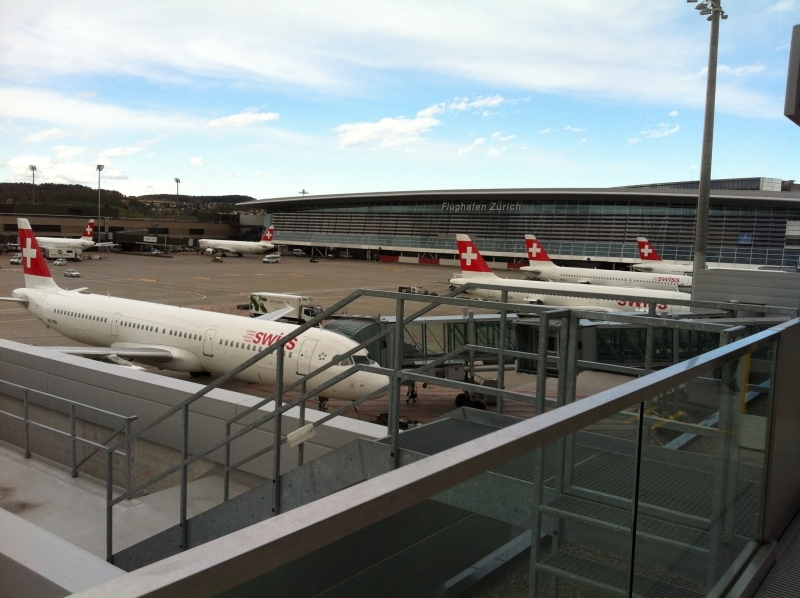 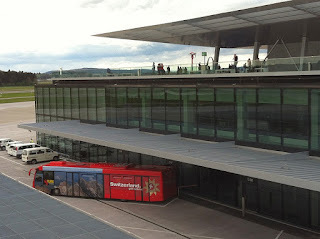 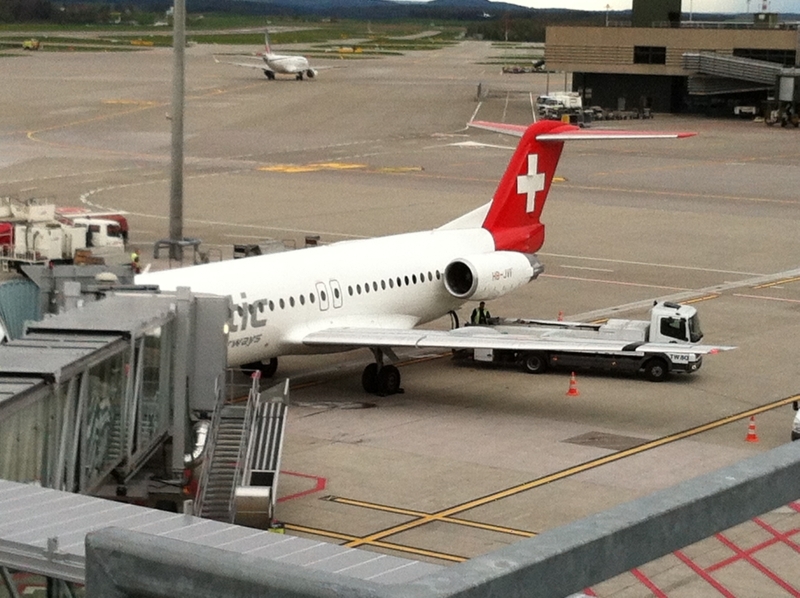 Observation Deck B is not the only deck you can find at Zurich Airport's terminal. You can find here information about all of them as well as opening times and prices. 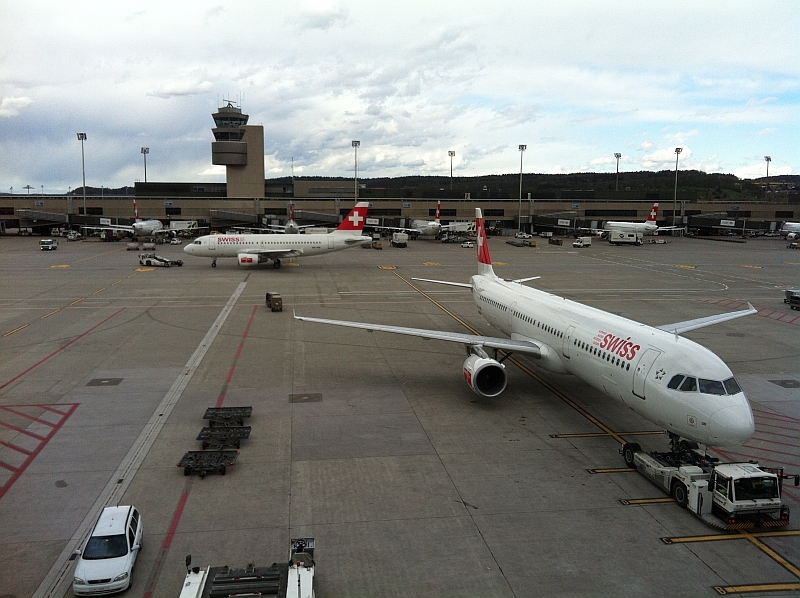 Zurich Airport is a great example of a friendly airport with great facilities not only for passengers but also for all who love aviation. 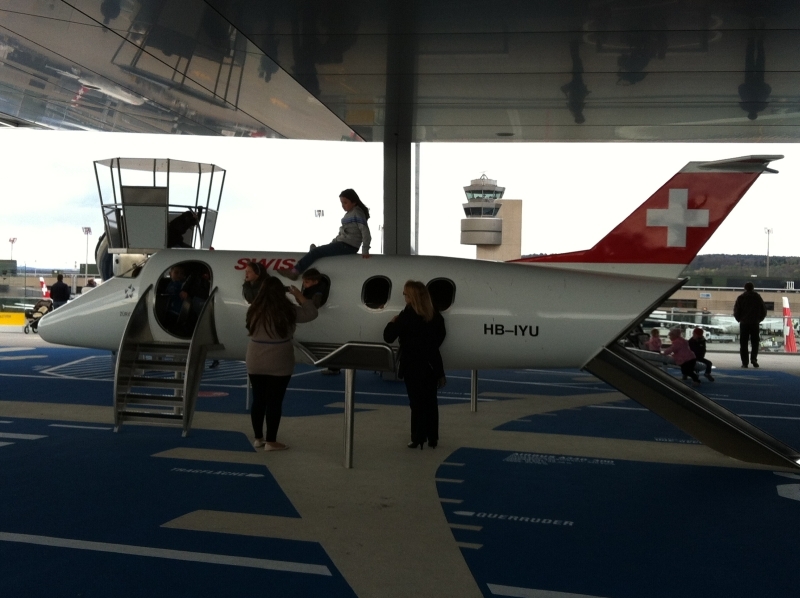 I'm pretty sure this observation deck will inspire kids and teenagers to become future aviation employees as ramp agents, flight attendants, pilots, etc.